Mike Lazaridis and the Quantum Valley team are in the East. 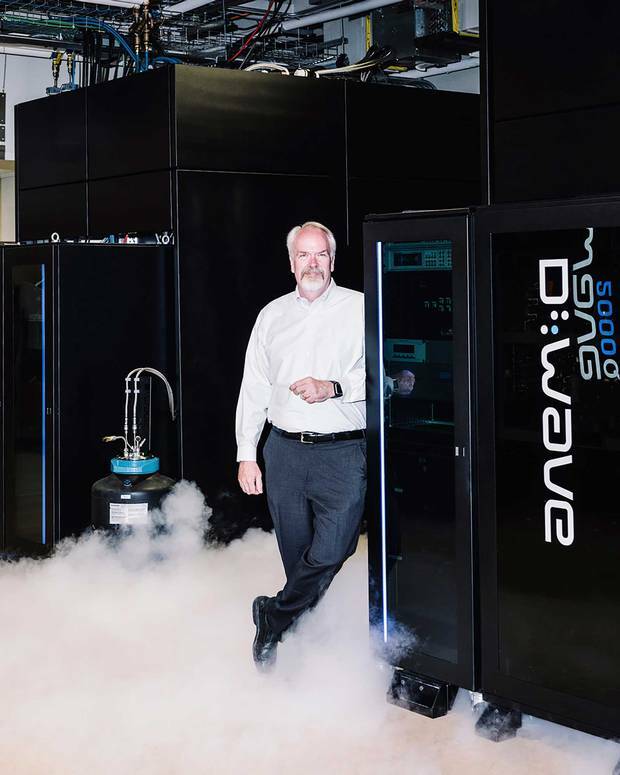 Quantum computing company D-Wave is in the West. Both Canadian camps are on the cusp of commercializing quantum technology—potentially leading a multibillion-dollar tech revolution. Who will make the leap first? The most striking item on Mike Lazaridis's desk isn't a piece of futuristic technology but an artifact from the past: a sleek model of the Avro Arrow, the revolutionary Canadian jet fighter from the 1950s. Lazaridis wasn't yet born when the Diefenbaker government scrapped the Arrow and triggered a diaspora in Canada's aviation and aerospace industry. But the flight of all that expertise is a poignant reminder of what happens when a hard-won advantage is lost. "We made a mistake," Lazaridis says, gesturing to a black-and-white photo of the ill-fated jet that hangs on his office wall. "It's all about the talent you build and how you're able to concentrate it that creates all the value." Lazaridis, of course, has experienced lost advantage first-hand. As co-founder and former co-CEO of Research In Motion (RIM, now called BlackBerry), he made the smartphone an indispensable feature of the modern world, only to watch rivals such as Apple and Samsung wrest away BlackBerry's market dominance. Now, at 56, he is engaged in a high-stakes race that will determine who will lead the next technology revolution. In the rolling heartland of southwestern Ontario, he is laying the foundations for what he envisions as a new Silicon Valley—a commercial hub based on the promise of quantum technology. Broadly speaking, the term refers to any device or innovation that relies on the hidden and sometimes bizarre laws of nature that emerge at the atomic scale. Quantum phenomena have been studied for decades but, until recently, they have had little commercial impact apart from driving the sale of popular-science books. As researchers develop materials and tools to harness quantum properties, however, the list of potential applications is growing longer and more diverse. Understanding the quantum computing revolution The next few years will be crucial for determining where quantum technology goes from here and who gains ultimate quantum supremacy. What is quantum computing and why does it matter to you? Like few others, Lazaridis has championed the notion that the future will be quantum and that Canada is poised to play a leading role in reaping its commercial rewards. Seated in his office at Quantum Valley Investments in Waterloo, Lazaridis is impeccably dressed, with his signature white mane combed to perfection. But his demeanour is more professor than mogul as he expounds on quantum's potential to transform our world. Holding his thumb and forefinger ever so slightly apart, he describes a coming generation of tiny devices that will harness the quirky behaviour of matter and light. Such technology will allow for the measurement of time and location with exquisite precision, the detection of materials in trace amounts and the transmission of information in ways impervious to hackers. The field's ultimate prize is a quantum computer, a machine expected to run circles around current digital systems when unleashed on certain tasks. For example, it could greatly accelerate data searches and facilitate real-time language translation. Quantum algorithms may also supply powerful shortcuts for developing artificially intelligent software, the hottest area in computer science today. Meanwhile, our growing control over quantum phenomena is projected to launch a wave of electronic products that improve on current technology in multiple ways. "We're talking about changing the world," says David Cory, a scientist who left the Massachusetts Institute of Technology in 2010 to join Waterloo's Institute for Quantum Computing. "Quantum is going to be pervasive, and there are so many opportunities." The rewards for those who lead what Lazaridis calls "the next industrial supercycle" could be staggering. According to a recent analysis by Morgan Stanley, the advent of quantum computers would double the high-performance computing industry, currently valued at about $5 billion (U.S.)a year, over the next 10 years. But computers are only one market segment. "[Quantum] will open up a number of fields that go way beyond computing," says Philippe St-Jean, a PhD-physicist-turned-portfolio-manager at PSP Investments in Montreal. The materials and devices that make quantum computers possible will also find uses in sensors and communication technology, with potentially transformative effects on industries from energy and health to finance and defence. Lazaridis has spent the past 18 years—most of them while still leading RIM—turning Waterloo into a mecca of all things quantum. He and his RIM co-founder Doug Fregin have personally committed $560 million to the effort, and Lazaridis has persuaded the federal and Ontario governments to each pony up roughly the same amount. To date, those investments have produced the Perimeter Institute, a world-class centre for theoretical physics, and its applied-research counterpart, the Institute for Quantum Computing, on the University of Waterloo campus. With Quantum Valley Investments, a venture capital firm Lazaridis launched shortly before leaving BlackBerry in 2013, he has added a business arm that aims to cultivate companies springing up from the research ecosystem. Lazaridis suggests the harvest is not far off. "We're accelerating now," he says. 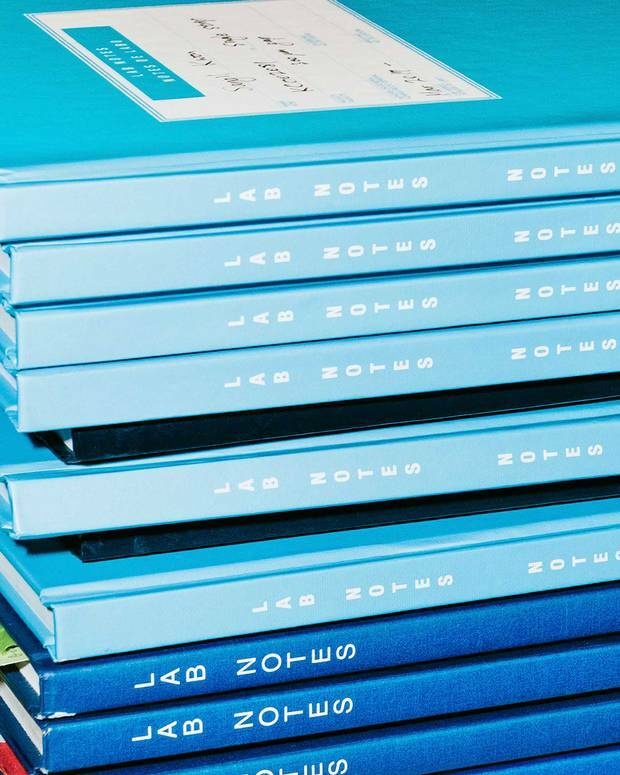 "We are transitioning, as we speak, from heavy research mode to engineering mode." But, as happened with BlackBerry, the world is once again catching up. 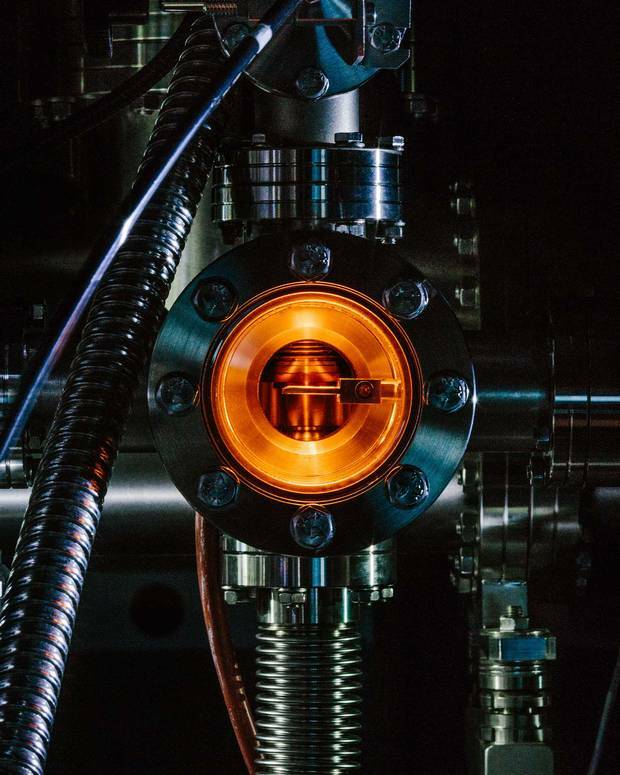 While Canada's funding of quantum technology ranks among the top five in the world, the European Union, China and the U.S. are all accelerating their investments in the field. Tech giants such as Google, Microsoft and IBM are ramping up programs to develop computers and other technologies based on quantum principles. Meanwhile, even as Lazaridis works to establish Waterloo as the country's quantum hub, a Vancouver-area company has emerged to challenge that claim. The two camps—one methodically focused on the long game, the other keen to stake an early commercial lead—have sparked an East-West rivalry that many observers of the Canadian quantum scene are at a loss to explain. At Quantum Valley, Lazaridis is adamant that Waterloo will be a global winner in the nascent sector. Working in the same edifice where, for a time, he had his RIM office—"When they sold the buildings, we put an offer in on this one"—means his earlier company's legacy is ever-present. But unlike the BlackBerry (or the Avro Arrow), this time Lazaridis is intent on ensuring all the eggs don't wind up in one basket. "You need to build an entire industry to take on an opportunity like this," he says, "not just one or two companies." Drivers who whiz through Burnaby, British Columbia, along the Trans-Canada Highway might be astonished to learn that they are passing within metres of a spot colder than deep space. It lies within a boxy, 1980s-era building that serves as the headquarters of D-Wave Systems Inc., home to the world's first commercial quantum computer. "Temperature is noise," explains Jeremy Hilton, the company's senior vice-president of systems, standing inside a black metal enclosure about the size of a tool shed, which houses the guts of a D-Wave 2000Q computer. Several identical units are running nearby, some that customers access remotely, others that are used for testing and development of D-Wave's next-generation system. "The lower the temperature, the more dominant the quantum effects are going to be," says Hilton as vacuum pumps swish in the background. Inside, the machine looks rather like an upside-down wedding cake, made of layers of gold-plated copper and stainless steel posts with wires running between. On the bottom part of this arrangement sits the computer's quantum heart, a chip the size of a thumbnail. When the system is running, the chip is kept in a vacuum and cooled with superfluid helium to just a few thousandths of a degree above absolute zero. The machine runs on qubits—the units that replace the ones and zeroes in digital computing. The outcome of their ephemeral interactions with one another is what D-Wave is selling. 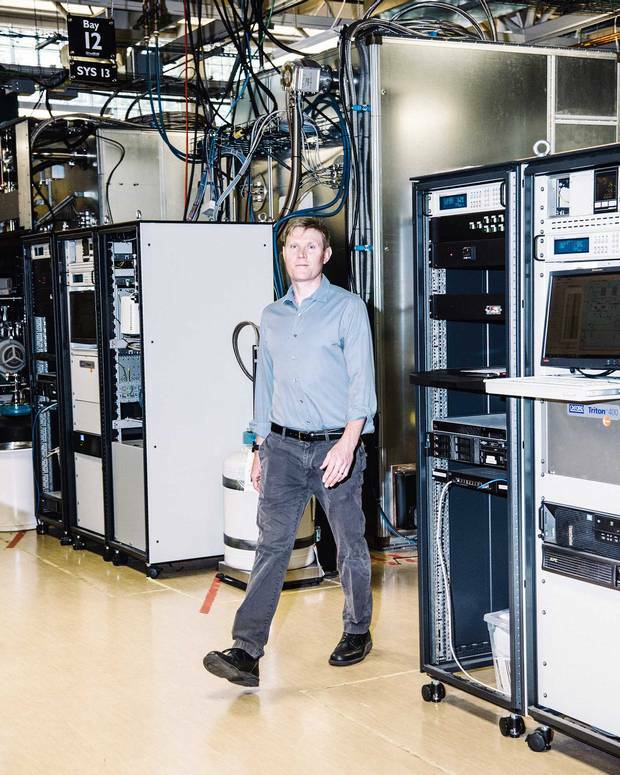 "We want to be the first to run real-world commercial problems on a quantum computer and show that there's an advantage for customers," says Hilton, a tall, fair-haired man who joined D-Wave fresh out of university in 2000, becoming one of the company's first employees. Since then, D-Wave has come a long way toward fulfilling that goal. 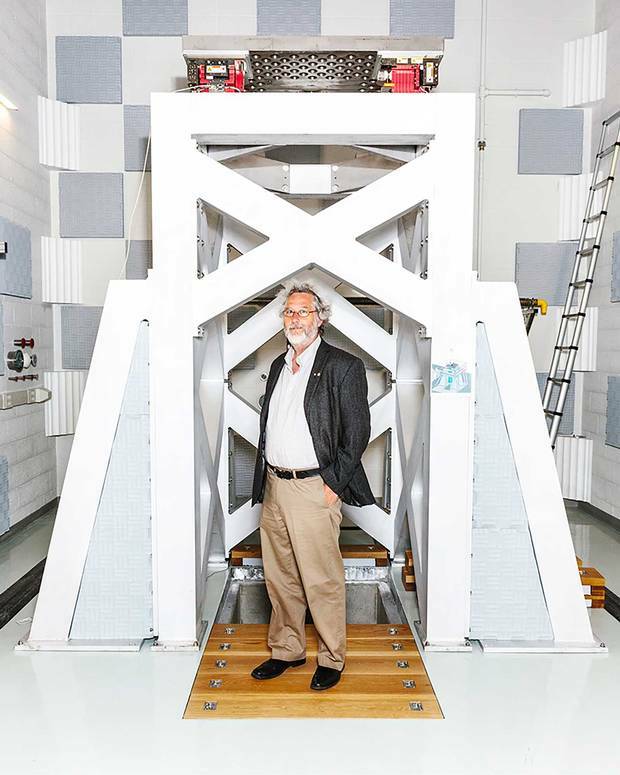 The company has demonstrated that its system relies on quantum effects. What it has yet to prove is that the machine can do something commercially valuable that a conventional system cannot. For now, Hilton's customers are effectively investing in the possibility that D-Wave succeeds. Ivan Semeniuk, The Globe's science reporter, is here to help wrap your brain around quantum computing, and talk about the Canadian businesses looking to commercialize the technology. D-Wave was born in 1999, the same year Lazaridis began to fund quantum science in Waterloo. From the start, D-Wave had a more immediate goal: to develop new computer technology to bring to market. "We didn't have money or facilities," says Geordie Rose, a physics PhD who co-founded the company and served in various executive roles. "So we went to research institutes, mostly in Europe, and paid them small amounts to answer key questions about where the state-of-the-art really was in building a real quantum computer." The group soon concluded that the kind of machine most scientists were pursuing, based on so-called gate-model architecture,  was decades away from being realized—if ever. Such a machine would be a fully quantum counterpart to the digital computers in use today, with clear applications based on well-established theory. However, no one knew how to build one or run it in a way that would maintain its delicate quantum state. Instead, D-Wave pursued another idea, based on a principle dubbed "quantum annealing." This approach seemed more likely to produce a working system, even if the applications that would run on it were more limited. "The only thing we cared about was building the machine," says Rose. "Nobody else was trying to solve the same problem." D-Wave debuted its first prototype at an event in California in February 2007, running it through a few basic problems, such as solving a Sudoku puzzle and finding the optimal seating plan for a wedding reception. The performance generated media attention, but it also drew sharp questions from disbelieving quantum experts who doubted that the computer was actually quantum in any meaningful way. "They just assumed we were hucksters," says Hilton. Federico Spedalieri, a computer scientist at the University of Southern California's Information Sciences Institute who has worked with D-Wave's system, says the limited information the company provided about the machine's operation provoked outright hostility. "I think that played against them a lot in the following years," he says. D-Wave got a warmer reception from Google. A team working on computer vision developed a program that could recognize a car in a camera's view and successfully ran the application on a D-Wave computer. But the real milestone came in 2010, when Lockheed Martin signed on as D-Wave's first customer, buying a system to perform verification of flight software. In 2014, a group of researchers, including Spedalieri, demonstrated that the computer's inner workings indeed exhibited quantum effects. By broadening the definition of what passes as a quantum computer, D-Wave "changed the conversation," says Spedalieri. Today, the Los Alamos National Laboratory owns a D-Wave machine, which costs about $15 million. Others pay to access D-Wave systems remotely. This year, for example, Volkswagen fed data from thousands of Beijing taxis into a machine located in Burnaby to study ways to optimize traffic flow. Yet, for all the buzz D-Wave has generated, with several research teams outside Canada investigating its quantum-annealing approach, the company has elicited little interest from the Waterloo hub. As a result, what might seem like a natural development—the Institute for Quantum Computing acquiring access to a D-Wave machine to explore and potentially improve its value—has not occurred. "We're trying to do something that's different," says Cory at Quantum Valley, pointing to the institute's focus on longer-term gate-model approaches. Vern Brownell, a former Goldman Sachs executive who became CEO of D-Wave in 2009, calls the lack of collaboration with Waterloo's research community "ridiculous," adding that his company's efforts to establish closer ties have proven futile. "I'll be blunt: I don't think our relationship is good enough," he says. Brownell also points out that, while hundreds of millions in public funds have flowed into Waterloo's ecosystem, little funding is available for Canadian scientists wishing to make the most of D-Wave's hardware—despite the fact that it remains unclear which core quantum technology will prove the most profitable. Rose, now the CEO of an AI startup called Kindred, is downright dismissive of Waterloo's claim to being No. 1 in Canada's quantum sector. "D-Wave is the centre of quantum computing—not just in Canada but the world," he says. "It's the only place making something someone could buy." The regional divide has created a tension in Canada's community of quantum entrepreneurs, who are striving to carve out niches in anticipation of a new industry amid what feels like a high-tech version of two solitudes. Five years ago, for example, 1Qbit, a Vancouver-based startup, began investigating how high-level computing problems in the financial sector, such as optimizing an investment portfolio, might one day be tackled by a quantum machine like the kind D-Wave was building. "Many people at first thought we were a little crazy because we were building software for [computers that didn't yet exist]," says Andrew Fursman, 1Qbit's co-founder and CEO. The company now has about 50 employees and has expanded to serve a broader range of "problem owners." Numerous industries grapple with data and numerical problems too complex for conventional computers to solve except through rough approximations. 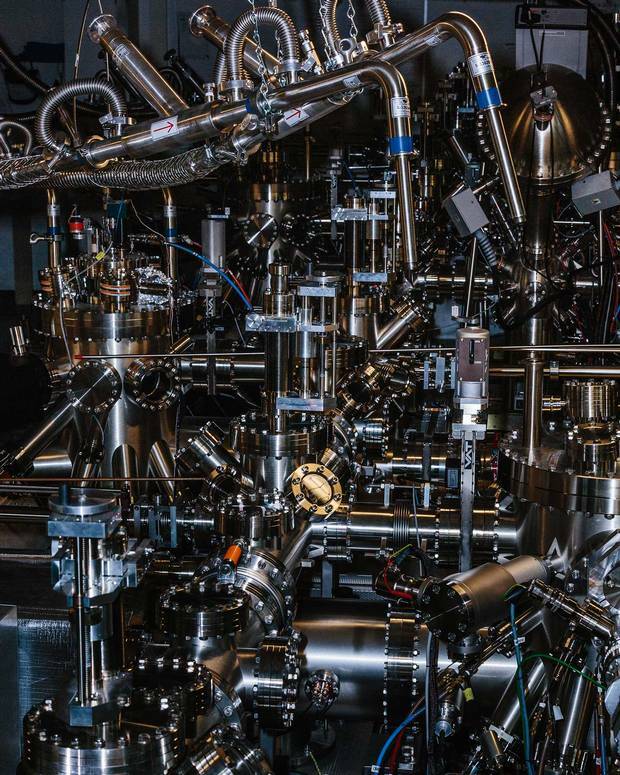 Chemical and biotech companies, for example, are hoping that quantum machines will assist in molecular comparison, which is a way of predicting how substances might behave and interact. This challenge has brought customers such as Dow Chemical and biopharmaceutical company Biogen to 1QBit's door. Fursman's focus on software has allowed him to remain agnostic about what kind of hardware will ultimately prevail in quantum computing. "We could learn from what was happening locally [at D-Wave]," he says, "but if the advances that really succeeded were happening elsewhere in the world, we could still be a credible force, motivating the development of hardware, and helping the industry connect and invest." D-Wave technology is an important aspect of a new program, launched this year by the University of Toronto's Creative Destruction Lab, to train and support entrepreneurs looking to apply quantum computing to problems in machine learning. Participants will have remote access to the company's system, a key selling point. The project's ambitious five-year mission is "to generate more well-capitalized, revenue-generating quantum machine-learning software companies than the rest of the world combined," says Ajay Agrawal, who heads the Creative Destruction Lab. Lazaridis is likewise trying to build a thriving entrepreneurial ecosystem, which he estimates will need "about 1,000 companies" to be self-sustaining. Currently, Quantum Valley Investments has a portfolio of six companies. The biggest is Cognitive Systems Corp., which counts two former BlackBerry executives among its co-founders. The firm makes a portable device that can detect radio signals passing through a given location, an application useful for home monitoring and security. 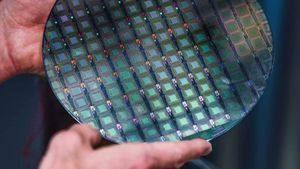 While the device does not depend on quantum technology, Lazaridis says the company's expertise in chip development is exactly what will be needed to create marketable quantum sensors. "We didn't want to lose this team," he says. Isara Corp., another Quantum Valley investment, more directly tackles the quantum challenge. When gate-model quantum computers become available, one of the first things they are expected to do is help hackers crack the digital security protocol known as RSA, which protects most of the personal, financial and government data that moves across the Internet. "It is a very significant threat if you are not well prepared in advance," says Isara CEO Scott Totzke, who formerly oversaw security technology at BlackBerry. Quantum computers will create a gaping security hole, which Totzke and his team are seeking to pre-emptively plug by developing a form of encryption based on mathematics a quantum computer won't solve any faster than a conventional digital system. While Isara's and Cognitive Systems' tech may prove useful in time, neither company employs any quantum magic. The point of such investments, says Lazaridis, is not to be first with every innovation but to build sufficient intellectual capital in the quantum domain so that even developments that occur elsewhere can be seized upon quickly by resident experts. "The speed at which you can commercialize and get to market is directly proportional to how many people you have taking advantage of [an innovation]," he says. To heighten the likelihood that the big quantum breakthroughs will come from within the Waterloo community, Lazaridis recently launched Quantum Valley Ideas Lab. 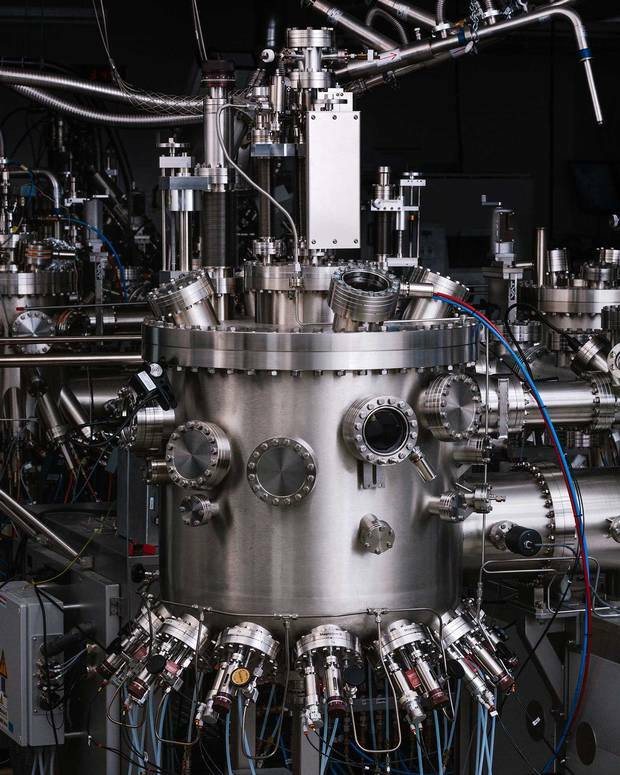 It's a way to connect quantum technology research with potential application in real-world products, and it's now the most crucial piece in Lazaridis's strategy. To run it, he hired Tatjana Curcic, who headed a program in atomic and molecular physics for the U.S. Air Force aimed at advancing navigation, remote sensing and other areas of strategic interest to the military. It was, in essence, quantum technology at a practical level. The Ideas Lab's goal is similar: to develop technology that companies can license for use in commercial products. "We're focusing on things that are closer in time to start with, but we won't limit ourselves," says Curcic. First on her slate is a project Lazaridis calls a "quantum antenna." As Curcic explains, it involves applying a quantum fix to a communication challenge that will arise when the world starts shifting to the next generation of high-bandwidth wireless hardware. The development could affect everything from mobile phones and drones to the fleets of driverless cars that will dominate highways of the future. But a prototype is three years away, with commercialization even further out. In fact, it's unlikely that a Waterloo-seeded product will bring any significant revenue before the middle of next decade. For now, the quantum world views Waterloo more as a source of academic insights than business advances. Comparing Lazaridis's project with D-Wave's breakout quantum-annealing system is like drawing parallels between a scientist's rigorous approach and a Silicon Valley startup's goal of failing fast and moving on. "Both approaches have their strengths," says 1Qbit's Fursman. But he laments the animosity that has emerged between the two camps. "It was counterproductive to developments out here [in B.C.]." The world isn't waiting for Canada's quantum rivals to forge a united front. Google, Microsoft, IBM and Intel are racing to develop a gate-model quantum computer—the sector's ultimate goal. (Google researchers have said they will unveil a significant development early next year.) With the U.K., Australia and Japan pouring money into quantum, Canada, an early leader, is under pressure to keep up. 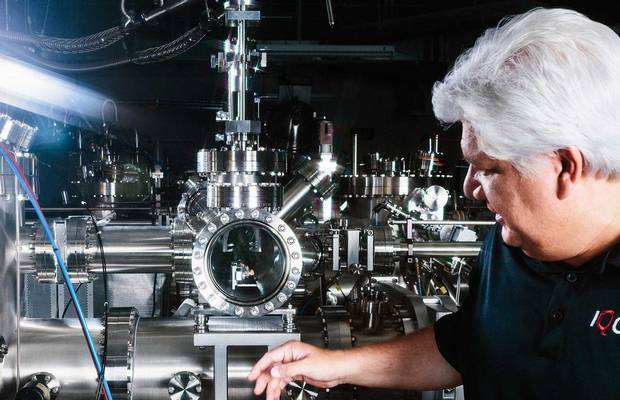 The federal government is currently developing a strategy for supporting the country's evolving quantum sector and, ultimately, getting a return on its approximately $1-billion investment over the past decade. The challenge is significant. A recent survey Ottawa commissioned revealed that only 13% of Canadian players are at or near having a prototype. This is not surprising for an emerging technology, but the study found a familiar array of barriers for quantum tech researchers and entrepreneurs, including little engagement with industry, unclear mechanisms for commercialization and, notably, lack of collaboration between geographically separated centres of activity. With a massive research infrastructure in Waterloo, a world-leading quantum computer maker in B.C., and a wave of startups angling to develop products resting on those two foundations, Canada certainly has a presence on the quantum tech landscape. But it remains a presence with competing visions and an uncertain future. "I truly believe this is the disruptive innovation for us right now," says Ben Sussman, a physicist who heads the National Research Council of Canada's quantum program. "It would be a shame if we couldn't build leadership out of that." Nathon Gunn, an entrepreneur who has served as an adviser to the federal government on innovation strategy, says there's a debate in Ottawa about "how much to wire together and how much to let fight out in its own way." One possibility is to encourage a network approach similar to how federal funding has been allocated for machine-learning research across centres in Montreal, Toronto and Edmonton. In the best-case scenario, Lazaridis's long period of seeding and incubating the industry will produce a cluster of thriving companies—a quantum field of dreams that becomes a magnet for talent and churns out world-changing products. Meanwhile, if D-Wave succeeds in proving that its quantum system has an edge over digital computers, its head start may help it take artificial intelligence to the next level. Rose believes the company could grow into a specialty computer maker on the scale of Nvidia, the U.S. graphics hardware company currently valued at about $100 billion (U.S.). The barriers between the two communities may dissolve as the next generation of quantum engineers and entrepreneurs blends the best elements of both approaches. As Rose points out, "There are still decades of technical maturation ahead for people who are [working in this field]. It's not too late to build bridges between the organizations." For his part, Lazaridis isn't focused on creating a single breakout company like a quantum version of BlackBerry. "Been there, done that," he says. Rather, he hopes to forge a diverse and resilient industry that gathers top talent around a big idea. "The only thing that keeps me up at night is if we lose interest and take our foot off the accelerator just as the rest of the world is catching up," he says. 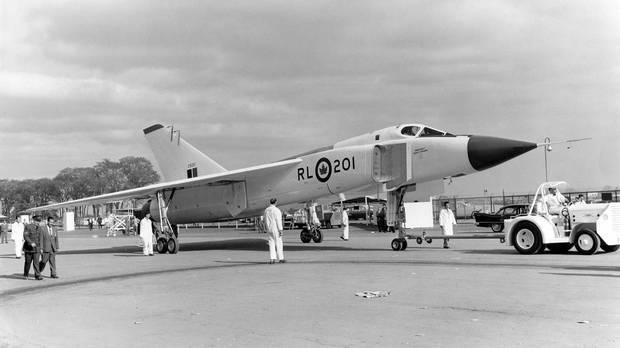 Nearby, the Avro Arrow model stands poised in perpetual flight, a brilliant takeoff forever waiting for a happy landing. In the quantum realm, particles can behave as though they are in more than one location or physical state at once—not here or there, but here and there—and information about one particle can be determined by measurements of another far removed from the first. Gate-model quantum computers use entangled qubits instead of the bits in a digital computer. Theoretically, such a machine will be much faster than a conventional computer at many calculations. Quantum annealing is a form of quantum computing that solves a calculation as qubits settle out of superposition into their lowest energy state. However, it remains unclear whether such systems will deliver a significant speed boost over their conventional counterparts. 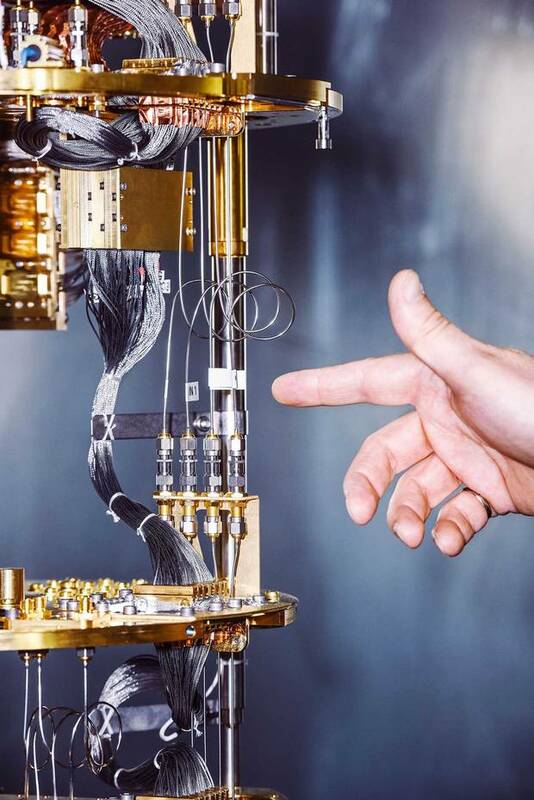 A 5,000-qubit machine with a redesigned chip that will have greater connectivity between its qubits. Since all molecules are made of smaller particles that obey quantum rules, a single molecule can be simulated using a quantum computer. It was this kind of task that led Nobel Prize–winning physicist Richard Feynman to first propose the concept of a quantum computer in 1982. The project aims to improve on D-Wave’s system by working with more advanced qubits that will be more interconnected and could remain in their quantum state longer. If quantum technology lives up to its promise, the impact will be felt throughout the economy. Cybersecurity Future quantum computers are expected to break existing encryption, requiring new techniques to make global communications quantum-safe. Transportation Quantum tech will be a boon for driverless cars, pinpointing their position to within a few centimetres. It will also improve navigation underwater and underground where GPS satellite signals cannot easily penetrate. Health Biotech firms will use quantum techniques to pick promising drug candidates for trials. New tools will enable doctors to monitor individual brain cells and more precisely detect cancer cells, while magnetic induction methods improve heart monitoring. Finance A quantum computer's ability to quickly run through a vast number of scenarios will help optimize trading strategies. Quantum devices' precise time-keeping, meanwhile, will reduce uncertainty in high-frequency trading, where transactions and price fluctuations occur in fractions of seconds. Defence Gravity and magnetic sensors will more easily locate submarines and torpedoes, while chemical sensors better detect explosive materials. Experts also expect advanced radar systems that can see farther while escaping detection, and sensor networks for infrastructure and border monitoring. Artificial Intelligence Quantum computers will improve the training of AI programs so they more accurately recognize images and words. Mining Quantum sensors capable of detecting minute variations in Earth's gravity will help find deposits at great depth, while precise timers using quantum effects will improve the accuracy of seismic exploration. Agriculture Quantum computers will churn through climate and weather models for more accurate forecasts, while computational studies of chemical reactions will improve the yield of fertilizers. Quantum state In quantum physics, particles can only exist in certain discrete states—defined by such properties as energy, angular momentum and electric charge—and must jump between them to change. This leads to a number of unexpected effects. Uncertainty principle The idea that there is a limit to how well one can know a particle's state. In part, this is because the act of accurately measuring one property, such as position, will change another, such as momentum. Superposition Because of the uncertainty principle, a particle or system of particles exists in a mixture, or superposition, of possible quantum states until it is measured. (Shrödinger's Cat, which is simultaneously dead and alive, is a famous example.) In principle, this effect can be turned into an extremely precise form of sensor that detects if a system is thrown out of superposition by a minute change in its environment. Entanglement The uncertainty principle dictates that particles generated together can have unknown but related quantum states when they are apart. Disturbing the state of one particle can thus seem to affect the state of another that is far removed. This effect can be harnessed for secure communications—for example, to transmit the key to unlock an encrypted message. The key will only work if no one has tried to measure it before it reaches the intended receiver. Quantum computer A system of many qubits (quantum bits) that are in quantum superposition, entangled and manipulated to perform calculations. In theory, this can provide a "quantum speed-up" over conventional systems for problems such as code-breaking and searching through large amounts of data.